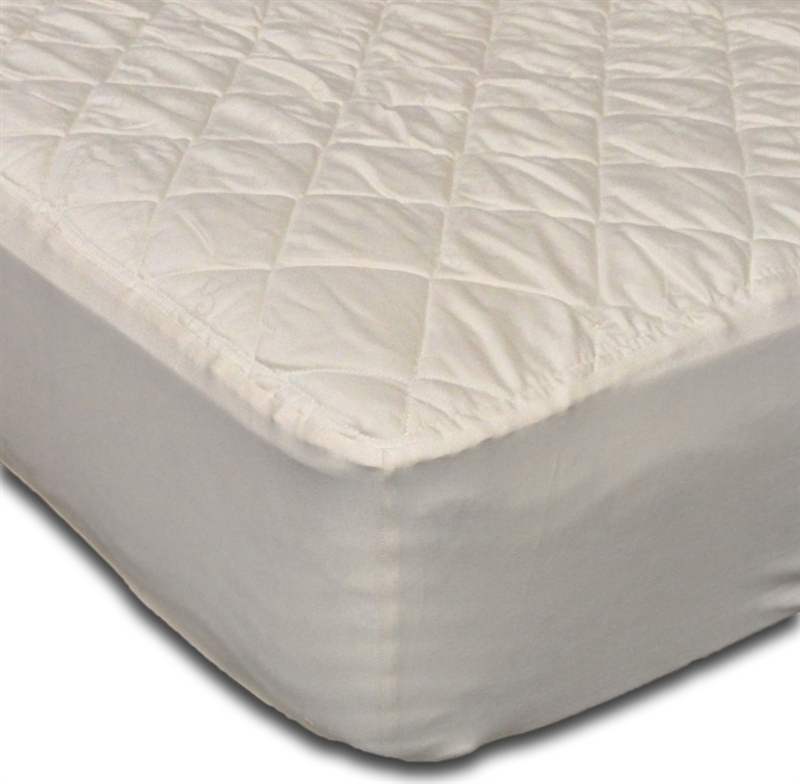 This is one of our most popular mattress pads. This pad will add the right amount of cushion while protecting your mattress, keeping it looking new. Made of organic cotton quilted with wool, which will not only help stop spills, but it will help regulate your body temperate and wicks moisture. Removable and washable. Made in the USA. Twin: 38 x 75"TwinXL: 38 x 80"Full: 54 x 75"Queen: 60 x 80"King: 76 x 80"Cal King: 72 x 84"
The washable wool mattress pad is made of our American Dream Wool and quilted using and organic cotton on both sides. It provides excellent protection to your mattress. The washable wool pad is skirted with organic cotton knit and features an 18″ pocket. It will keep your mattress looking newer longer. Made in the USA.